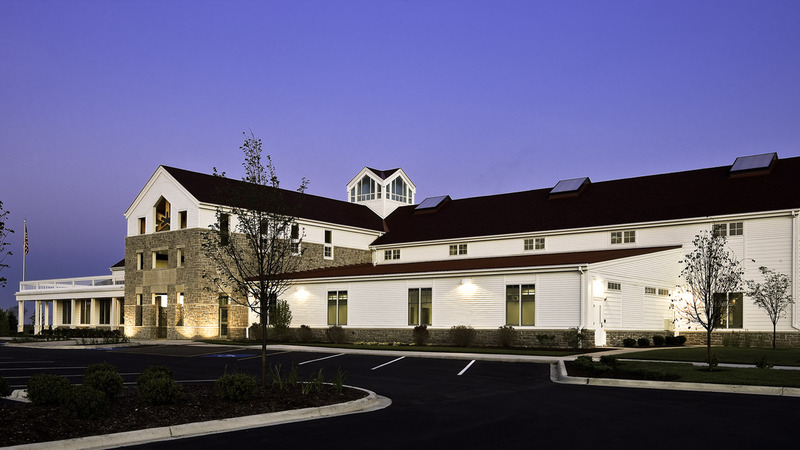 Sugar Grove Public Library, a 27,400 square foot library building, replaces a 6,600 square foot facility to better serve the population of Sugar Grove and parts of neighboring Montgomery and North Aurora. It is planned to serve the needs of this growing community with commensurate increases in collections, services, and programs. 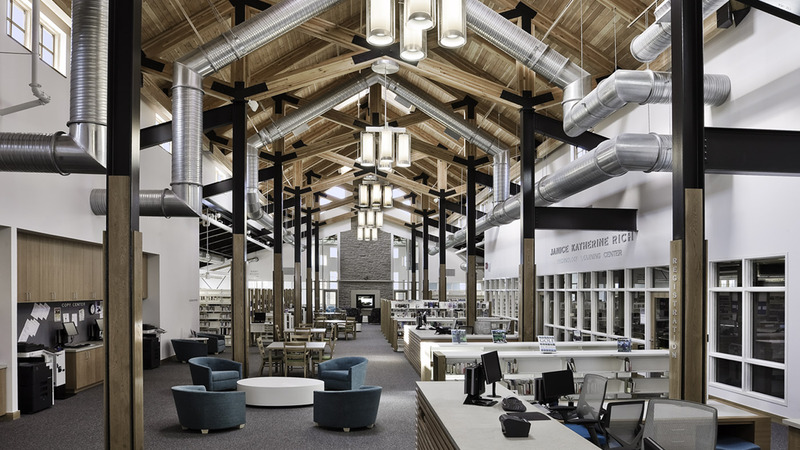 The library celebrates future as well as the past, blending a regional agrarian aesthetic with state-of-the-art technology. Its design celebrates Sugar Grove's agrarian heritage, which is alive and evident in the numerous working farms that surround the area. Its overall form evokes barns and farmhouses. Siding, rusticated cast stone, timber trusses, and wood roof decking reinforce this aesthetic. 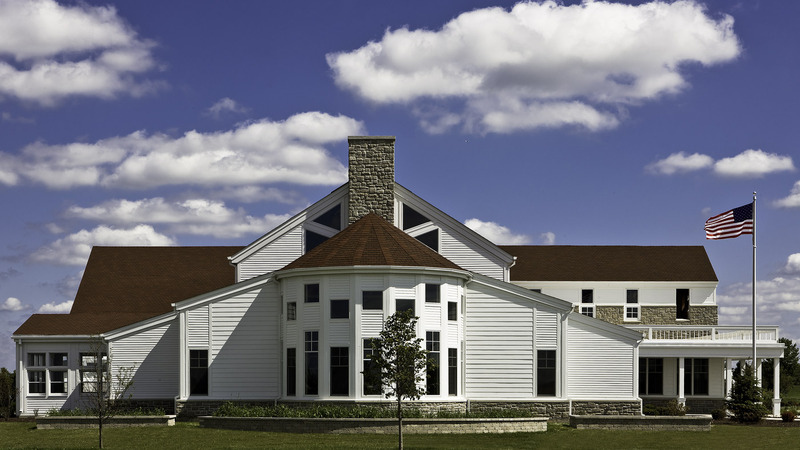 Working together with the community and key library administrators, Cordogan, Clark and Associates and Leo A. Daly, the library design consultant for this project, analyzed several of the area's historic public buildings and farmhouses to distill an architectural vocabulary that is appropriate and uniquely Sugar Grove. 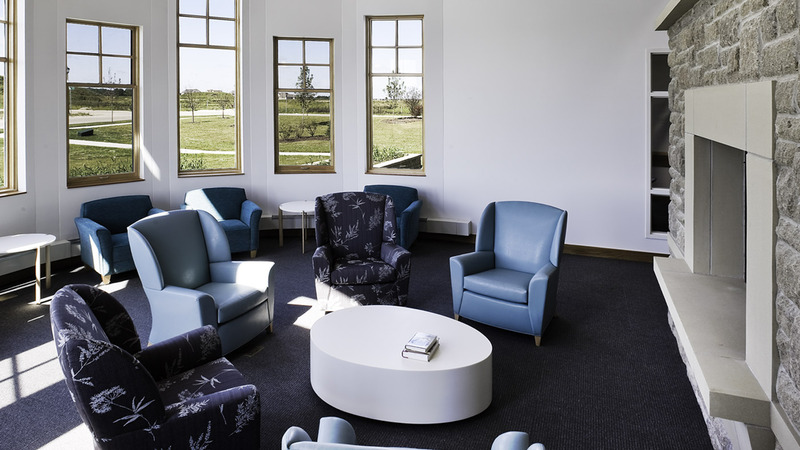 Architectural design, detailing, and materials create the sense that the building has long been a part of the community: Yet it also features wireless access to theater-quality media equipment in the flexible meeting rooms, to the 18-station Janice Katherine Rich Technology Learning Center. The library is in a town center that includes other civic functions and commercial development to the north and residential development to the south and west. It is sited for compatibility with neighboring uses: The monumental north elevation abuts municipal and commercial properties, while lower-scale quiet reading and small study rooms, and an all-weather porch are located at the south end of the building, in deference to the smaller scale residences planned towards the south. The covered front porch provides a sheltered entrance for those approaching from the south. It is also reminiscent of the Bliss House, one of the oldest buildings in Sugar Grove, and a local landmark. 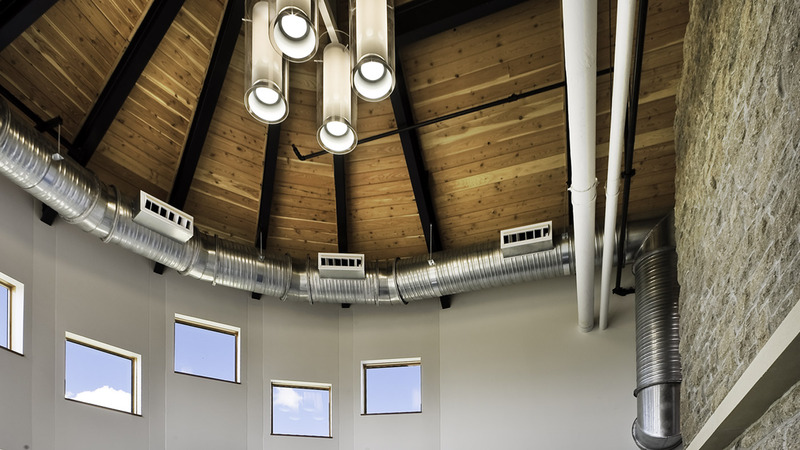 The dramatic interior recalls traditional high-bay library reading rooms. Skylights and clerestory windows provide generous natural light, reducing the need for artificial light during the day. In fact, Library staff members say that the new building offers better illumination with the lights off, than the old building did with all of the lights on. The library is an essential community destination that provides a place where people want to be.